Student-athletes in Massachusetts will add a new drill to their warm ups this fall: concussion training aimed at preventing deaths, long-term injuries and disabilities. Parents, players, coaches, school nurses, volunteers and others involved in sports must participate in annual state-approved training on how to recognize the symptoms of concussions. Schools have a few options for fulfilling the training requirement, including offering training materials at parent meetings and online trainings from the Centers for Disease Control and Prevention and the National Federation of State High School Associations. Student-athletes who suffer a head injury must be immediately removed from play and get medical clearance before returning. Student-athletes diagnosed with a concussion must have a written plan for returning to the game and the classroom. Student-athletes with a history of head injuries must file an injury report before every season. Across the country, an estimated 136,000 student-athletes suffer concussions in high school sports each year. Concussions are often referred to as a “metabolic cascade,” a series of changes in which the brain’s nerve cells stop functioning properly and blood flow slows down. 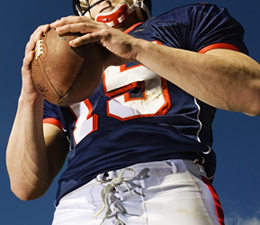 Concussions can occur when athletes collide with other players, equipment or the ground. It is important for people who suffer concussions to reduce physical and cognitive activity. When there is a subsequent injury, concussions can be fatal and result in long term injuries impacting memory, mood and impulses. Concussions can be difficult to diagnose in part because the effects are not visible on imaging tools such as CT scans or MRIs. Massachusetts schools are making changes as awareness about concussions increases throughout the sports and medical community. Starting this fall, Ivy League football players are limited to suiting up for two full-contact practices each week. The pending contract agreement will implement new guidelines for National Football League (NFL) players as well. For more information, click to read this article in The Boston Globe.